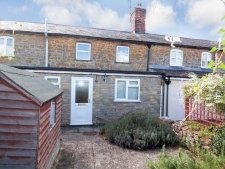 Lenthay Road, Sherborne - 2 Bed - Guide Price £159,950 Terraced [Freehold ] Dorset Property are pleased to offer for sale this 2 bedroom character terrace cottage just moments from the historial town of Sherborne. 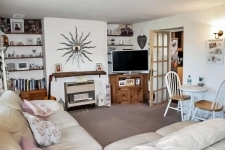 The property is a character mid terrace cottage benefiting from double glazing and gas central heating. Accommodation in brief comprises, Entrance hall, leading to spacious living room with gas fire and shelved alcoves, 2 windows to the rear overlooking Sherborne Schools playing field, stairs to first floor and door to kitchen. Modern fitted kitchen with a good range of units & work surfaces, one and half bowl sink unit, integrated oven & hob, space for fridge/freezer and washing machine, window overlooking the garden. First floor landing leads to Bedroom 1; double room with 2 fitted wardrobes and window to front. Bedroom 2 ; single room with built in cupboard and mezzanine area & cupboard below and window with views to the rear. The cottage is accessed by a pedestrian footpath. The garden is to the front with a paved patio area, garden shed, large lawn with a summerhouse.